Sara and Marc Schiller, who found Wooster Collective in 2003, currently celebrate the 10th anniversary of their website with a group show at Jonathan LeVine Gallery. 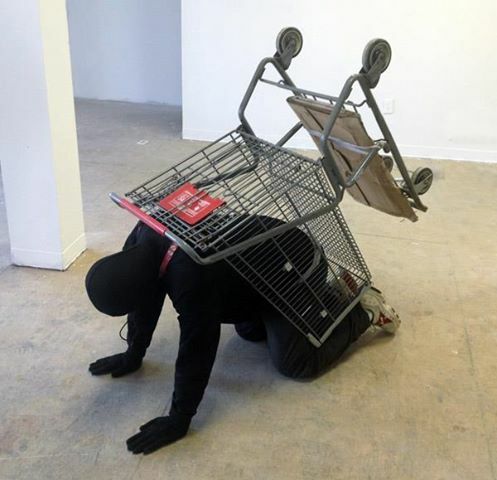 The participating artists include all names that have surely been featured on the site. Next to artworks inside, some artists send their best wishes through murals, too. 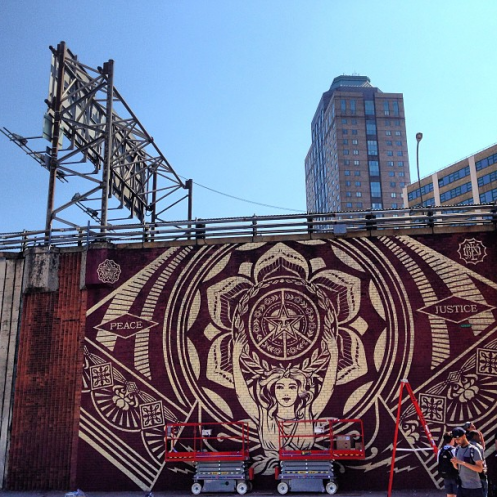 As such, Shepard Fairey just finished his Wooster Collective birthday mural yesterday.